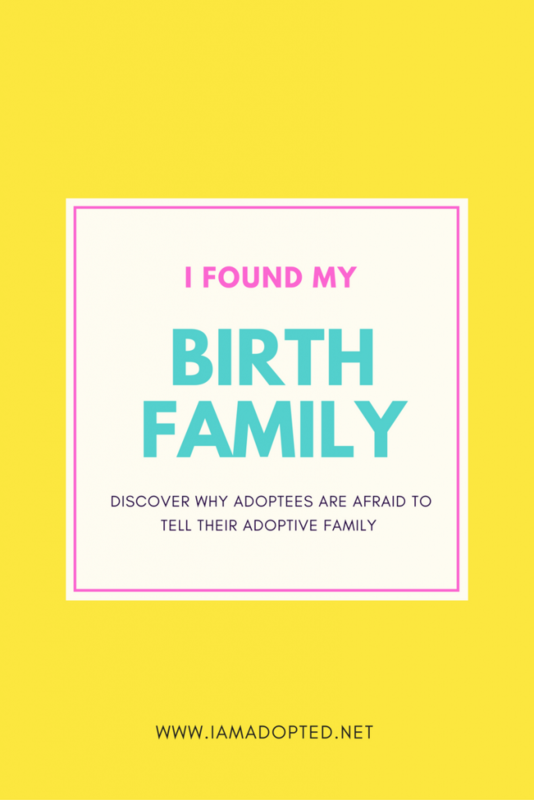 It is a struggle for adoptees to keep an open dialog after reuniting with one’s birth family. It’s credibly emotional, stressful, and filled with moments of anxiety. For the past several days, my biological little sister began to inbox me a series of messages expressing how much she missed me, loved me, and that she wanted to speak to me as soon as possible. It would be our first time speaking with each other. Since my birth family found me, she was the only one of my sisters that have never reached out to me. I was hurt for some time. I would write her on Facebook to let her know how much I loved her and that I wanted to see her. No response. For about a year, I could not understand what I could have done to her. After all, we adoptees seem to feel we have done something to someone when they will not speak to us or they cut as off abruptly. If you are anything like me, I cannot take rejection. No adoptee can. 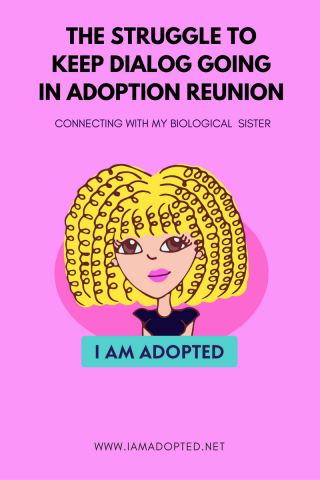 As my life began to change due to recent events in my adoptive family that has caused me to keep my distance, I felt compelled to try to get to know my biological family that has been reaching out to me. I felt these were all signs that meant it was THAT TIME. Prior to the phone call to my biological little sister, we had been writing each other back and forth for about three to four days. She would write me messages throughout the day that she loved me, missed me, and wanted to speak to me. Some of her messages did not make sense, they were more like puzzle pieces. Then I realized she must have been putting her message in Google Translate because some words were still in Spanish and few did not make sense. For the most part I was able to understand what she was trying to say. Eventually, she expressed in the message that I would not have any idea what she has to go through just to speak to me. That is when I knew that she had to use a translator. It made my heart love her even more that she would do whatever she had to do to express her love for me. I let her know that I appreciated her sincerity, and although we may have a problem communicating due to the language barrier that our love would compensate. I agreed to call her on Monday night. As the days led up to Monday, I was trying to find the perfect excuse to not be able to call, to not be available. However, deep in my heart, there was no way on Earth that I could let down my little sis. In my eyes, she seemed so fragile. I always wanted to have a baby sis. I always wanted to watch over someone or protect them as I would do my classmates that were handicap or “nerdy”. I had a habit of taking people under my wings wherever I would go. I was thrilled with this idea of a baby sister. After watching the clock pass hour after hour and reading everyone’s Facebook and Instagram motivating comments, I knew it was time. I got in my car and drove around to clear my thoughts. I parked my car in a well-lit parking lot and called. As the phone rang, I did not know whether to speak English or try my best in Spanish. When she picked up, she said, “Hello.” I went on to explain that I was Jessenia, her older sister and immediately I heard her cry. My heart sank. To understand that I meant that much to her meant so much to me. To know that someone had been missing me did something to me deep inside. I just wish I could have been there right at that moment to hold her close and tell her everything is okay; I am here now and forever. My anxiety began to kick in. I did not know whether to speak Spanish or English. Naturally, I went for English, but I noticed that she was not responding. I proceeded with my best Spanish, and we went from there. I was surprised that I was not the one breaking down in tears. I did not even know where to begin or what to talk about I was so nervous. Speaking to my little sister was nothing like talking to my two older sisters. When I talked to them the first time and the other couple of times they directed the questions and set the tone while I did my best to answer questions. I had to ask all the questions with my little sister to get her comfortable to speak to me. I felt my mom’s presence on the other end of the phone. My little sister is the only one of my siblings that live with my birth mom. I could not help thinking that I could have been speaking to my little sister and my mom would also be hearing my voice for the first time. My sister said that my mom was at work till 1 am, but she has been calling my little sister all day long to see if I called. 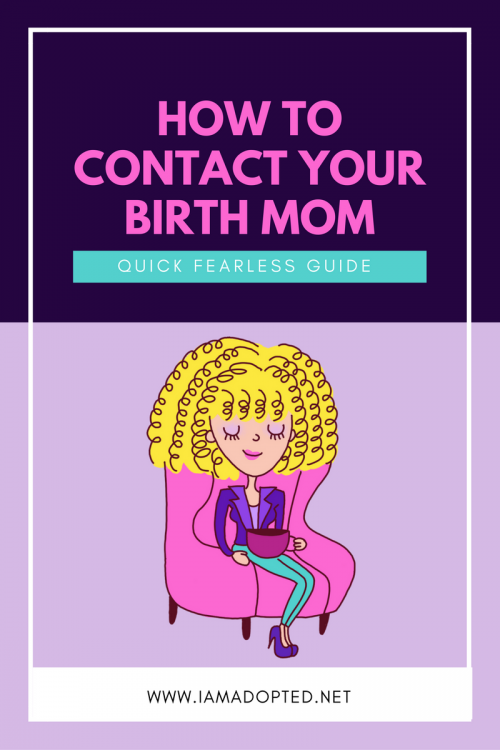 My birth mom called while she and I were on the phone. She told my sister to tell me if I would give her a call tomorrow. I explained to my sister that I am not ready to speak to my mom and that the first time that I do talk to my biological mom would be face to face and not on the phone. At that moment, my emotions were beginning to build up, and tears were filling my eyes. As we continued to try to talk and understand each other, I prayed that God would somehow come down and through the phone to help us out. I understand and speak Spanish; however, I do not speak it well enough to feel comfortable to say I am fluent in Spanish. I cannot even understand it when I see my family communicate in Spanish on Facebook. I said many “Un-huh’s, si (yes), que (what), no se (don’t know), and more in reply to all the things she was saying even though I was so lost! All I could think of was that I am definitely going to need a translator present when I meet and speak to my mom for the first time. That first conversation means everything, and it is vital that I express myself the way I need to and that I can understand everything she is saying. EVERY WORD COUNTS! My sister and I spoke about an array of topics and events going on in her life; however what hit me most was when she began to explain that she was in a troubled situation and she wanted to get away. She wanted to move away from Puerto Rico. She told me that my mom was very upset with her decision to move because she did not want to see her daughter leave her side. Then my sister paused (deep breath). She began to explain in Spanish that this was the time my mom sat her down and told her about me. She did not want to lose another daughter. At that moment I did not know how to feel. Then she said, “sabes que (you know what)? Mami, asks me every night to look at your pictures on Facebook before she goes to sleep”. My heart dropped. This conversation was beginning to get REAL! I was ready to hang up the phone to cry my eyes out. I can only imagine how my mom feels right now. I am scared to know. I am not sure how comfortable I am feeling and knowing that someone loves me that much that is not my mom that raised me. It makes you think how bonds are formed. It is a bit perplexing in my mind as I think about the “loss” that I hear many biological mom’s speak about. They never forget. That is something I believe is true and that I communicate with other adoptees about. 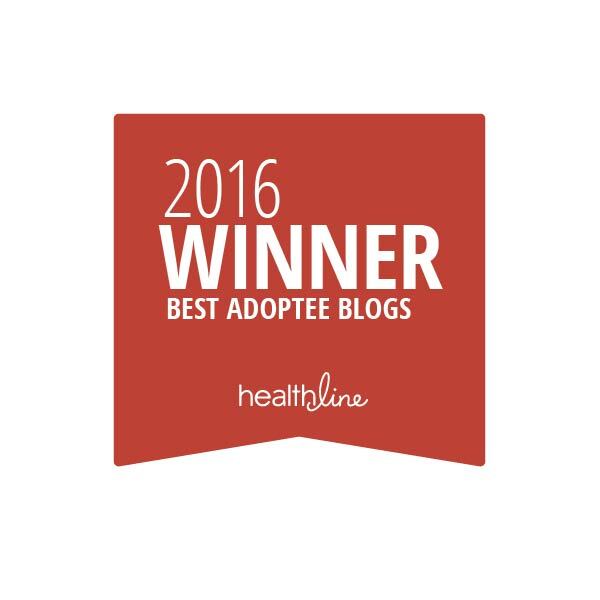 Now that I am physically experiencing it myself I am beginning to understand more and more about adoption loss and trauma. As I closed the conversation with my little sister, I told her that I would call her the next day. I never did. I was not sure if I was up to stirring those emotions all over again. It is draining. Although she was on my mind all day and night, I could not pick up the phone to call. I am afraid to have a connection with my siblings especially when I am not speaking to my adoptive siblings. This is something I am struggling with and have finally come to the conclusion that I need to seek a mental heath professional to help me overcome the fear that I have. Even though my sisters and I have a different father, I am amazed at how much we look alike. When I was searching for a picture to place side by side for this post, I was not even thinking how similar we are. We are posing the same and all. My mom must have strong genes as everyone says. The picture of my little sister is one of the pictures that my biological family used to show me proof that they are my family because we look the most alike. They said she is my twin, my “mini me”. As we talked, she really seems a lot like her big sis. I cannot wait to see her as nervous as I am. She messages me and waits for me to call her daily. I never want to break her heart…I only hope I can make her smile every day by just calling to say, “I love you, sister”. The emotional intensity of reunions is off the charts, but you are strong and you will make it through! And it _does_ get easier with time. Hang in there! Thank you so much Rebecca! I can use all the motivation and inspiration possible. I am doing my best to hang in there and I DO believe it will get better. I am just trying to figure out how to deal with two families. I feel like a octopus. LOL. Dont ask. Thank you for sharing. Meeting the bio's can be very emotionally exhausting… its hard to prepare for it. Wao! Im in tears honey,but joy tears. step by step everything is falling in place like a puzzle. You are right about it. It has not gone how I planned but that is okay. I learned that on this journey you have to let life takes its course. We are not always meant to write our story. However, our story has a way of writing a beautiful ending. They do love me very much, and I pray that I am able to remain open and strong through it all. It is very challenging trying to piece things together for me to function effectively throughout the day as I cope, but I know that I am going to be just fine. xoxo. Thank you so much for ur beautiful support all the time! Thank you so much Clint. You are right about it. I still cannot believe that is has been that long. I am happy to know that you have been there since the beginning and that you still support me. It really means a lot. You are a wonderful person and I pray that you will be blessed with everything you dream of. Never lose hope fam. Never-lose-hope! I pray u get the courage to talk to your mother soon, she is suffering and waiting, u are not promised tomorrow. My daughter and I lost 15 yrs because she was scared. She missed seeing her older nieces and nephews grow up and spending time with her sibs while they were much younger. Hello :o) I pray that too. My intentions at this time are to not speak with her over the phone but wait to speak to her in person. I just feel that it is important that I can see her face and expression the first time we meet. I want to be able to look her in the eyes and hear her talk to me at the same time. I am not sure how it is going to work because she is in PR. What keeps me focused on my reunion is as you mentioned, tomorrow is never promised. I do not want it to be too late especially with all the variables that are going on at this time. Thank you for the motivation to kick it up a notch! Thanks for your support! Amen! Thank u so much. 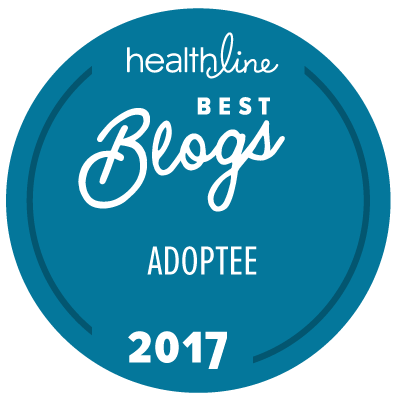 You wrote: "After all, we adoptees seem to feel we have done something to someone when they will not speak to us or they cut as off abruptly. If you are anything like me…I cannot take rejection. " This is a serious ride you're on now, just know you are loved. And keep talking it out and writing it out… It helps others, too!